Zombies Don't Run – Games for Android 2018 – Free download. 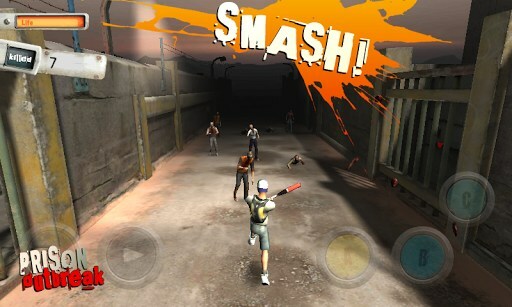 Zombies Don't Run – Exciting runner in the zombie world. 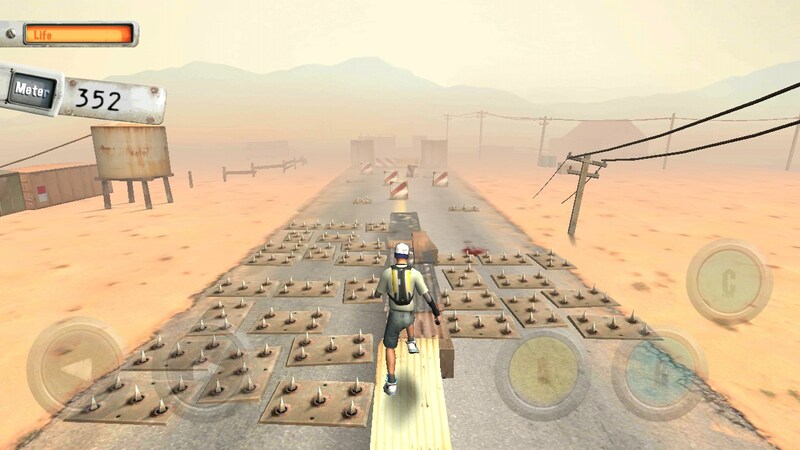 Zombies Don't Run - this is another game in the genre Runner for Android, which we will be in a fast paced way through the rubble and huge clusters of the walking dead. All that we have, it's a big bat and a good athletic training, through which we can jump over fences and slip where it is needed. Game development studio is engaged Jeebumm, which we know from the arcade fun - One Up . The graphics in the game is quite nice, although a bit of liveliness picture is missing: only traced the road, the main character and zombies, and everything else is empty, and because of this it feels unrealistic. On the other hand, the game excellent visual effects upon the impact of zombies (body breaks into a few pieces). Also, if the main character would crash into something, we even see how far it flew off the cap. The Game is not much different from other representatives of the genre. Our goal is to run as long as possible without colliding with obstacles and zombies. Control of the game by using the buttons. There are two buttons on the left - right and left, and right buttons to jump, slide and attack with a blunt weapon. In the upper left corner is an indicator of health. Health decreases every time you encounter a zombie, and we can survive only three such collisions. When faced with an obstacle is the end of the game, and the transition to counting passed meters. 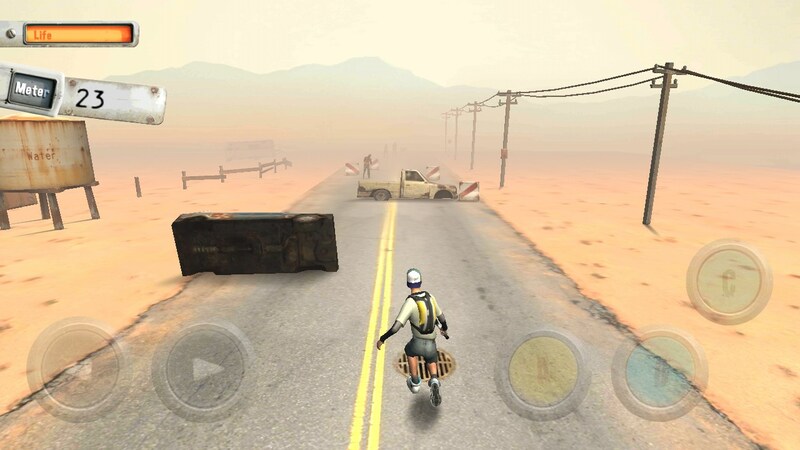 The game has two game modes: "Blood Highway" (run as much as possible) and the "jailbreak", which must be killed with the bits as much as possible the dead. 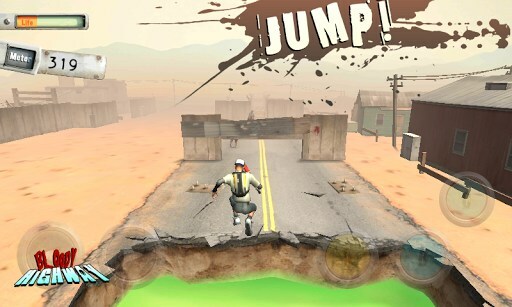 The disadvantages of the game is attributed not the most responsive controls: Sometimes it seems that the time to press the jump, but in the end is falling down. It is difficult to guess when it is necessary to press the jump button, we have to get used to. Summary. 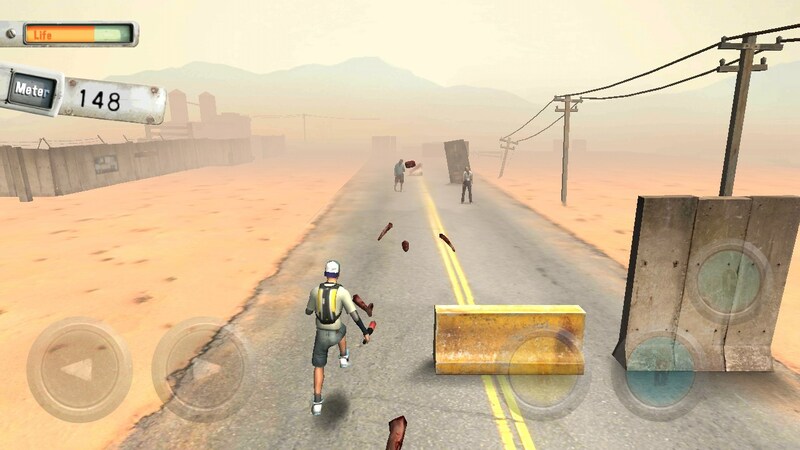 Zombies Don't Run - this is a good action game in the genre of "Runner" to Android, which should please fans of the genre and fans of games about zombies. With the quality of the developers do not have lasted a little bit, as well - a good time killer.